“Chickens. They have wings, feet, necks, beaks (peck, peck, peck, peck). We have an eager young hen. Several months ago she layed about eight eggs. We re-appropriated seven, thinking that perhaps she would keep laying. Being eager, our hen did not keep laying, instead she decided to sit on her one lonely egg. She had picked a prime nesting box for her eggs. The hot real estate was soon invaded by other hens who mixed their eggs in. Soon the eager young hen had quite a few eggs under her…but with different setting times. After about 21 days our hen’s one egg hatched. The chick died. Our hen continued to set, getting skinnier, and skinnier…waiting for the new eggs to hatch. Along came another eager young hen, who had been laying her eggs in the same box. She too wanted to sit on a nest of eggs. Neither would budge, so one would sit on the eggs, the other would sit on her back. We took pity on our hen, putting her in a cage, and feeding her well. The other hen continued to set. Two eggs hatched. We gave the two chicks to our eager young hen. Both hens followed the little chicks around, keeping an eye out for them, and scratching up ants for the two babies. 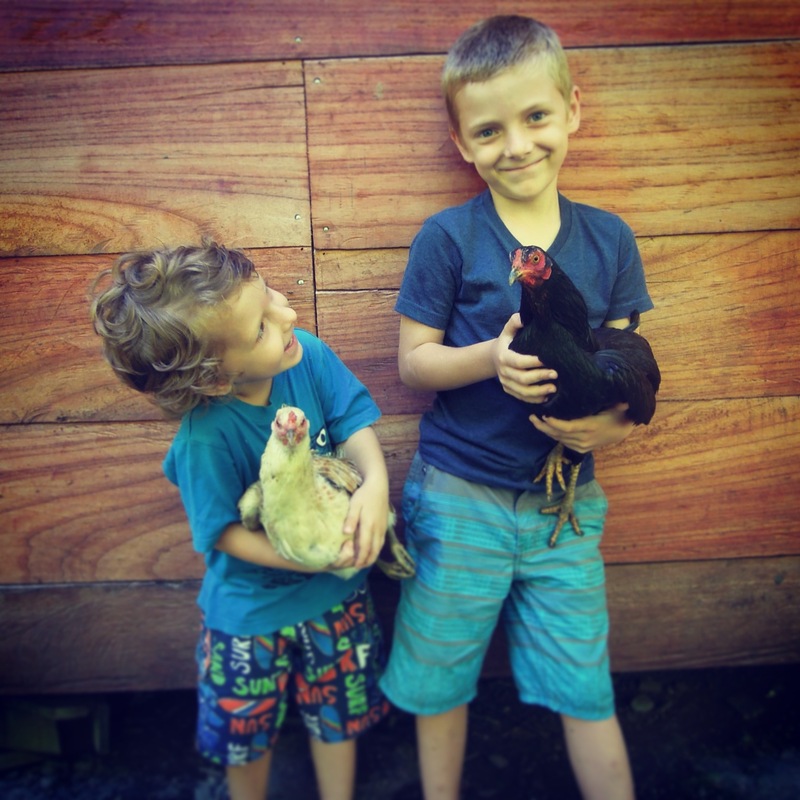 But, our free ranging chicken stories rarely end well. It wasn’t long before we realized the hen was no longer being followed by two little grey fluff balls. We don’t know if it was a monitor lizard, a snake, or a runny nose that did our chicks in. 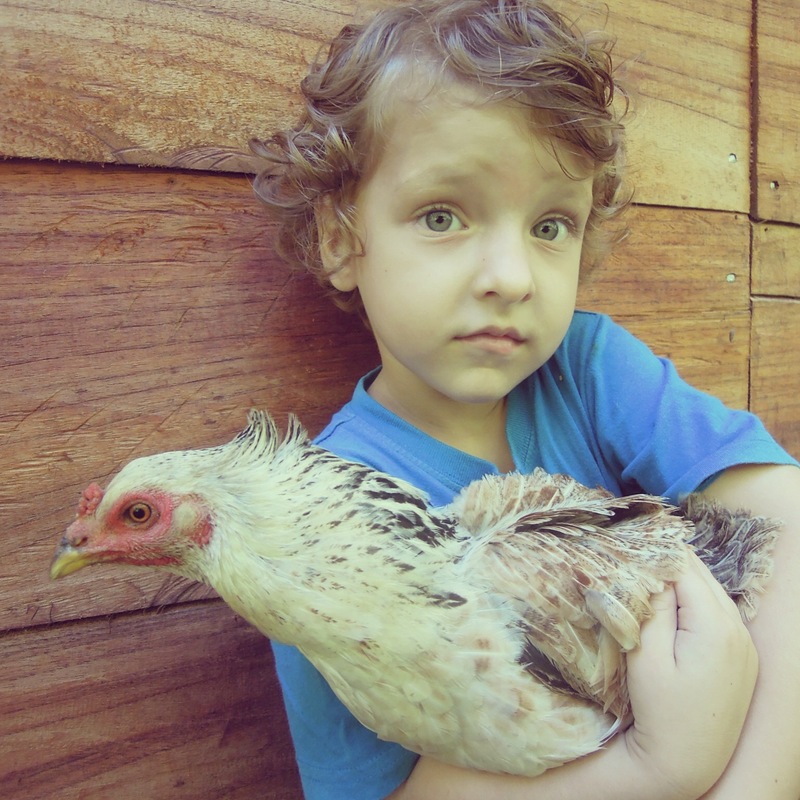 We are learning that chicken lives are fragile, and we have all learned to be less sad when they are gone. Even so, isn’t it encouraging that the God who knows when a bird falls to the ground and dies, cares even more for us? Ever since John fed a cockroach to the chickens, that’s become my eco friendly extermination method. We miss you guys too! P.s. I just finally figured out how to comment. I’m slow!